All I’ve been making and eating lately is soup. Vegetable soups, fish soups, more vegetable soups. 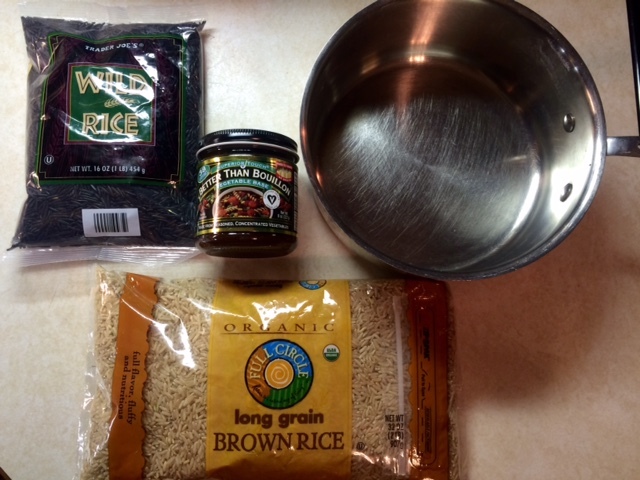 I’ve spared you from yet another soup of late, a mushroom and wild rice concoction which was delicious, but… soup. This one, however, I had to post. 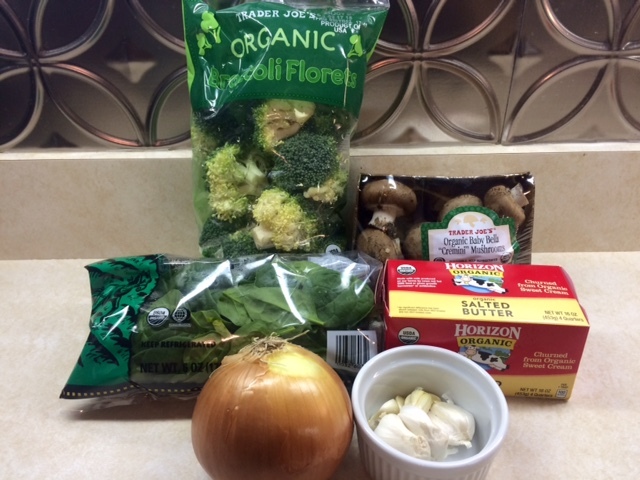 Healthy, vegan and gluten free for those who swing that way, easy, and cheap (I am a sucker for saving money). Warming and hearty for a nice winter lunch and it’s even better the next day. You know those meals that look impressive but are super easy to throw together? The hands-off, Williams Sonoma photo shoot, break out your all-white everything serveware at your winter home in the Swiss Alps fancy? Yeah. Those are my favorite. Here’s one to add to your arsenal. On a baking dish, place the salmon on a sheet of parchment paper. The paper isn’t a must but will simplify cleanup. Generously salt and pepper the salmon. Cut the lemon in half and juice one half. Slice the other lemon half into thin, crosswise slices. Book club snack time! 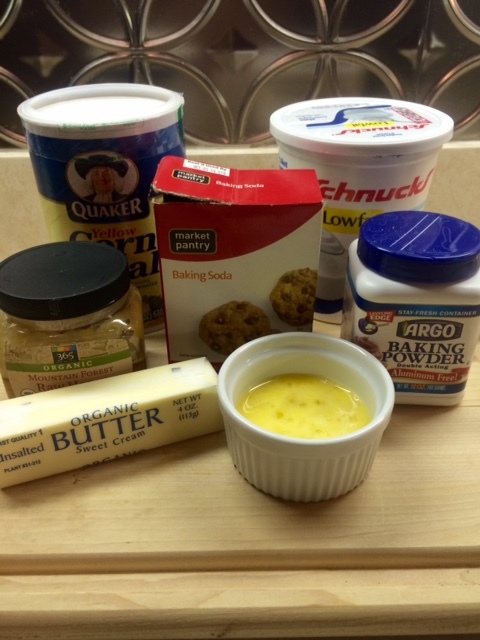 My book club met last night, so I thought I’d try out a new snack recipe ahead of the holidays. If it worked, great, and if it was bad, we’d have wine to distract us. Win-win! They were nutty, salty, tangy, savory from the fried shallots, and addictive. Great party food. I apologize for the lack of photos; this was a hands-on recipe [involving hot oil, yikes] and I only have the before and after to share with you. That being said, here’s how to make it! Place the cashews in a large, wide bowl. Finely zest the three limes, setting the zest aside. Juice the limes and pour the lime juice over the cashews, marinating for one hour. As these soak, slice each shallot in half lengthwise and finely chop the halved into thin half-moon-shaped slices. In a deep saucepan, heat the vegetable oil over medium heat; it will be ready when a shallot dropped in sizzles and immediately starts to cook. Add the shallots to the hot oil and cook, stirring often for about 2 minutes until they’re golden brown. Remove with a slotted spoon to a paper towel-lined plate and leave the heat on. When the cashews are done soaking, drain and pat them dry. Add them in two batches to the hot oil, cooking and stirring until brown, about 5 minutes per batch. Remove with the same spoon to a paper towel-lined baking sheet to cool and sprinkle with salt, to taste (go heavy, they’re raw so they need lots of flavor). Pour the cooled cashews into a large bowl and mix in the lime zest; top with the fried shallots. All done! Go party! 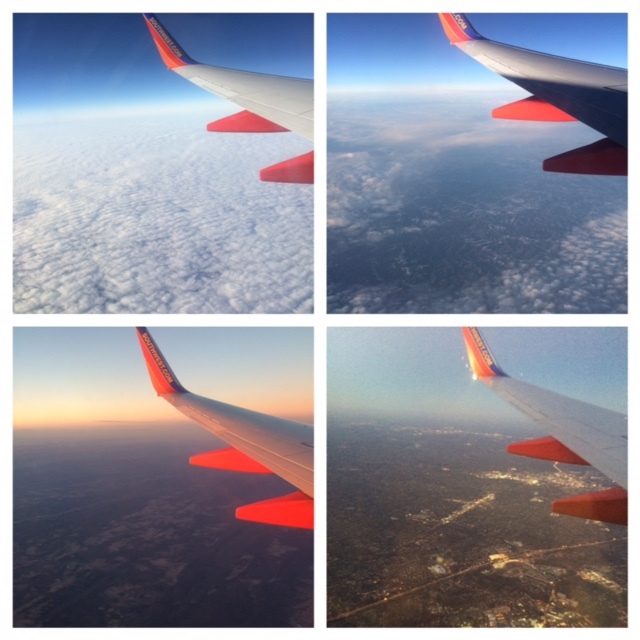 What a whirlwind this winter has been! Geez! Work, school, weddings, visits with family and friends, freezing cold weather, sweaty hot weather vacation, back to work and school. And somehow it is March! And 60 degrees in Missouri, which is very, very welcome and much appreciated… but I still can’t figure out where February and January went. Do you know? They must have blown by me in a wintry blur. Throughout the Jan-Feb blur I sustained myself on sad things like Foods Sold By Panera Bread, cereal, canned beans and frozen brown rice, kimchi and pickles delivered fork-to-mouth from the jar, and frozen Ghirardelli chocolate. YUM. My poor husband was left to fend for himself (shout out to the Whole Foods hot bar). 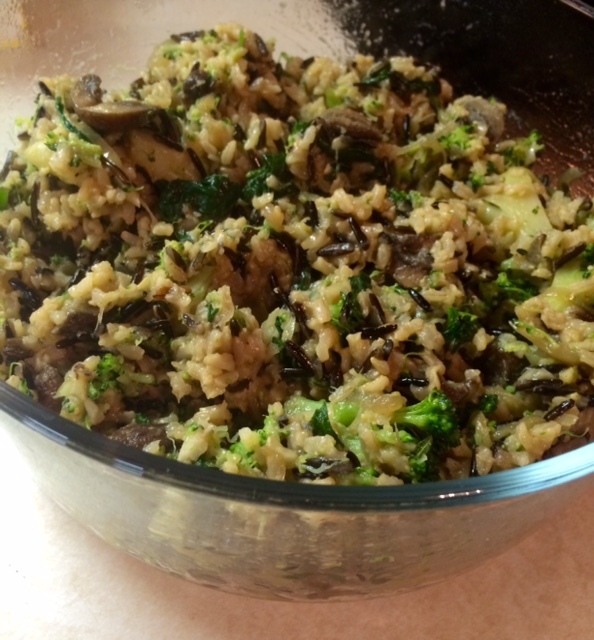 I managed to cook a couple of times in February; here’s a recipe I chose for a day when my body was screaming at me for much-needed veggies and grains already, woman! 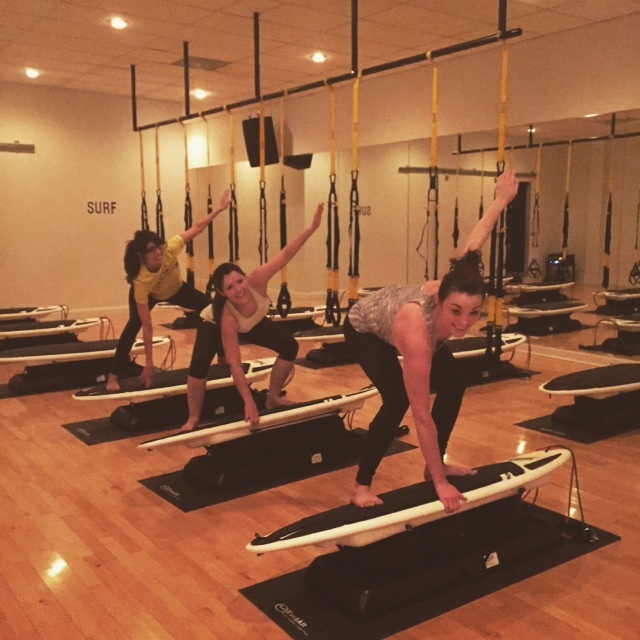 Put down the chocolate! Hello! Happy New Year! And brr. Is it cold where you are? 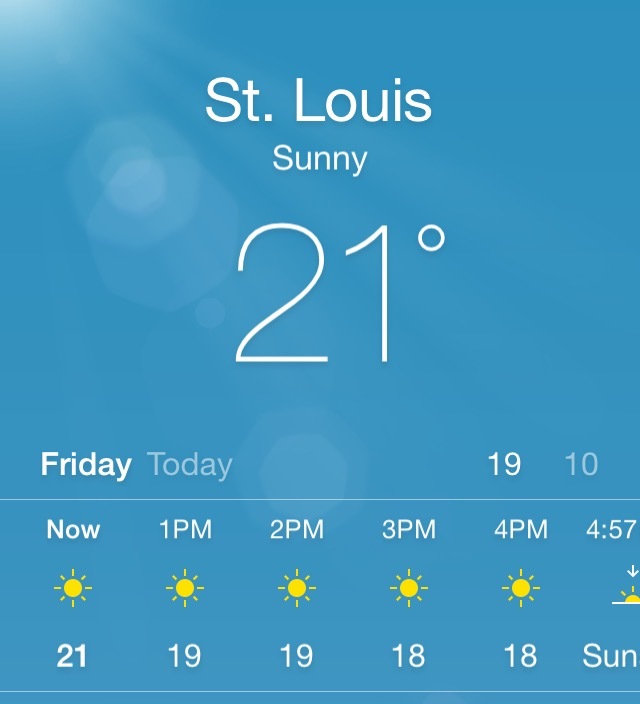 It’s cold cold in St. Louis. To combat the low temps and up our veggie intake après holiday indulgence, I whipped up this roasted spread to nosh on last night. This spread-slash-dip can be slathered onto hunks of crusty bread, dipped with crackers (we used wholesome and hearty Mary’s Gone Cracker), spread on a sandwich, dolloped onto soups, tossed with olive oil on pasta or rice, and so on. Great stuff to have around on cold, winter nights and snowbound days. The roasted peppers and onion give a big flavor kick; you’ll find the spread hard to put down, which is a great thing when it comes to vegetables, amiright? It was all I could do to not eat the whole batch in one sitting. I enjoyed it hot out of the oven, chilled the next day with lunch, on a baked potato the next day, and at room temp as a dip- all delicious and the room temp option makes this wonderful picnic and party fare. Oscar party fare, perhaps? ‘Tis [almost] the season! Preheat your oven to 400. Cut the eggplant, red peppers, and red onion into large, 1-inch dice. 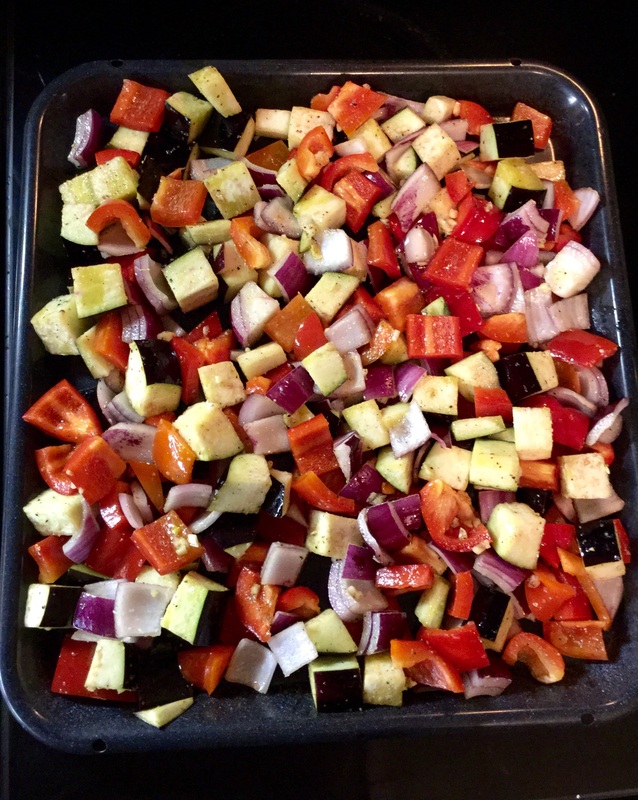 In a large bowl, toss the veggies with the raw minced garlic, salt, pepper, and olive oil. Turn out onto a baking sheet and roast for 45 minutes, stirring once halfway through. Your kitchen will smell freaking amazing. When 45 minutes are up, add the veggie mix, tomato paste, and pre-roasted garlic, if using, to the bowl of a blender or food processor. Pulse a few times until pretty well combined. You want to leave this with some texture, so don’t completely purée it. Perpetual baked potato cravings have become somewhat of a thing with me. My go-to is classic: a plate-sized Yukon gold smashed with butter, kosher salt, cracked black pepper, and lots of sour cream. The winds of change had me in their grips the other day, inspiring me to mix it up. 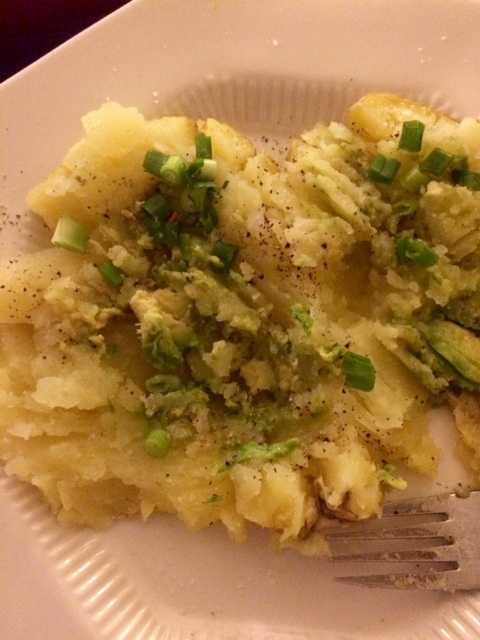 I madly added things from the fridge like a [hungry and impatient] mad scientist and chuckled when I realized that my combo was green- a Frankenstein potato! Bake or microwave your potato. I am a microwaver. When I want a baked potato, I want it within the next ten minutes. No judgement here for my lazy, impulsive kinsfolk. Cut in half, smash up with a fork, sprinkle with salt and crack on pepper, add a few pats of butter and smash up a little more, smash on some buttery avocado, and top with green onion. Hell of a snack. Greetings, hungry blogosphere! 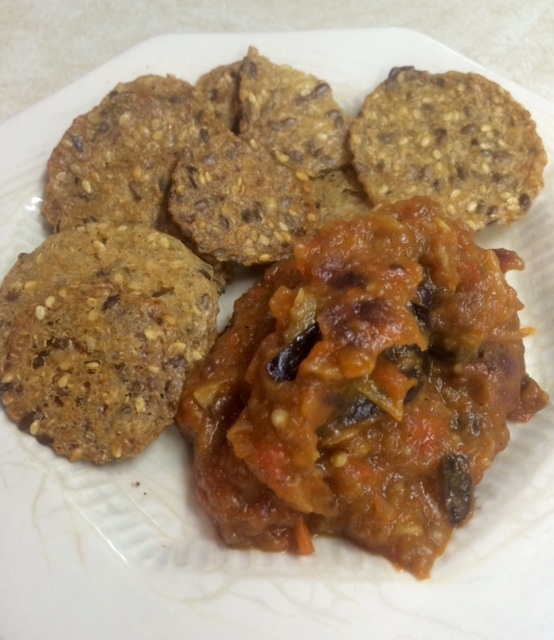 Today’s post is sinfully tasty vegetarian feast and a retooled version of a recently republished Ree Drummond recipe. That Ree Drummond? 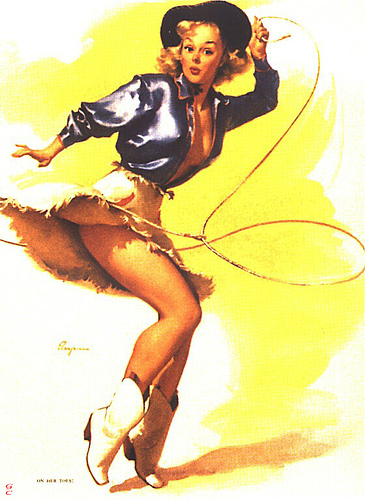 The accidental country girl-slash-Pioneer Woman? Yep, that one, I luh her. I’ve subscribed to her blog for years (haven’t seen the show so I’m absolved if it’s terrible). She’s a very funny writer who cooks like a real person who feeds other real people in real situations and really loves real food. No “poached quail eggs in nests of freeze-dried seaweed” from The Pioneer Woman. Phew! “Thanks, Ree!” cried happy stomachs everywhere. 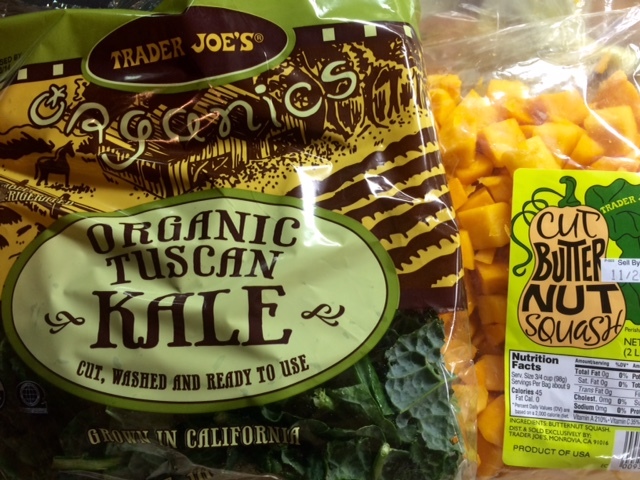 The Pioneer Woman’s butternut squash and kale recipe is no exception to her practical/delicious formula. It’s simple, fast, healthy, hearty, and can be used in roughly one bajillion ways. Get a load ofof Ree’s fabulous suggestions for using the mixture: in quesadillas! stirred into risotto! in a grilled cheese sandwich! in a pita with chicken! puréed with broth to make soup! tossed with bowtie pasta, olive oil, and Parmesan! as an appetizer, on crackers with goat cheese! alone, on a plate! Basically, regardless of which of the bajillion ways you serve this dish, it will be delicious, so make a big pot. 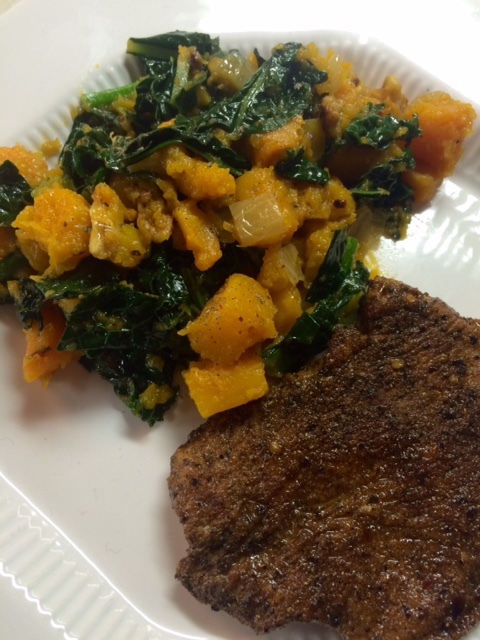 I added onion, sage, and walnuts to my version and we enjoyed it with turkey cutlets Dave made. He was the Marlboro Man to my Pioneer Woman as we cooked. Ree Drummond joke. NBD. In a deep saucepan or cast iron skillet, heat the butter and olive oil over medium. 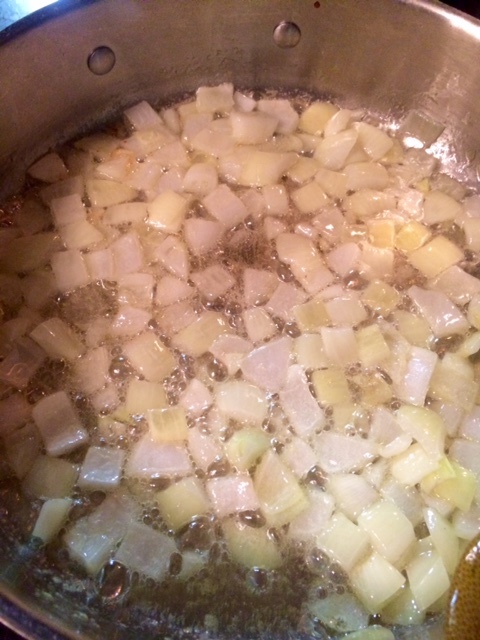 When the butter has melted and is slightly foamy, add the onion and sauté until translucent. I love this smell. Add the butternut squash, salt, sage, nutmeg, and chili powder and saute about 5 minutes, until all sides have had a some time with the direct heat. Reduce heat to medium-low and cover with a lid, steaming for 5 more minutes until the squash is soft. The steaming makes this dish a mash; if you’re looking for a more caramelized consistency, be patient and sauté until golden brown. 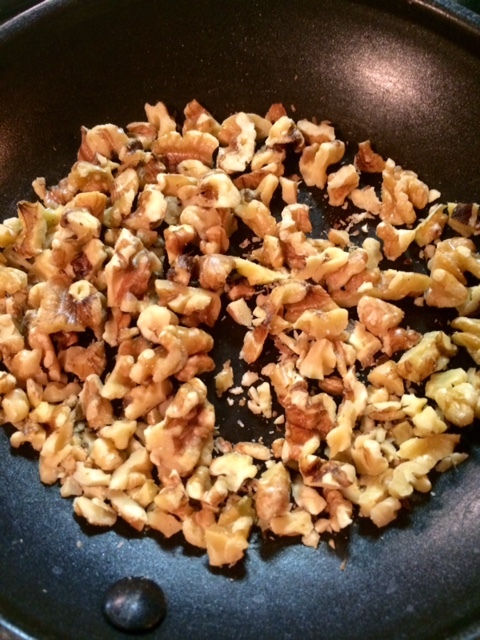 While the squash steams, toast the walnuts in a small nonstick skillet over medium, tossing so they don’t burn. They’re done when they’re a fragrant, toasty brown. Remove from heat and set aside. When the butternut squash is soft, remove the mixture to a large bowl and return the pan to the stove, turning the heat back up to medium high. Add 2 tablespoons water and bring to a simmer. Add the torn kale leaves and stir around for a few minutes, letting them wilt. If they get dry, add another tablespoon water. When the leaves have wilted and broken down (break them! break their spirit! 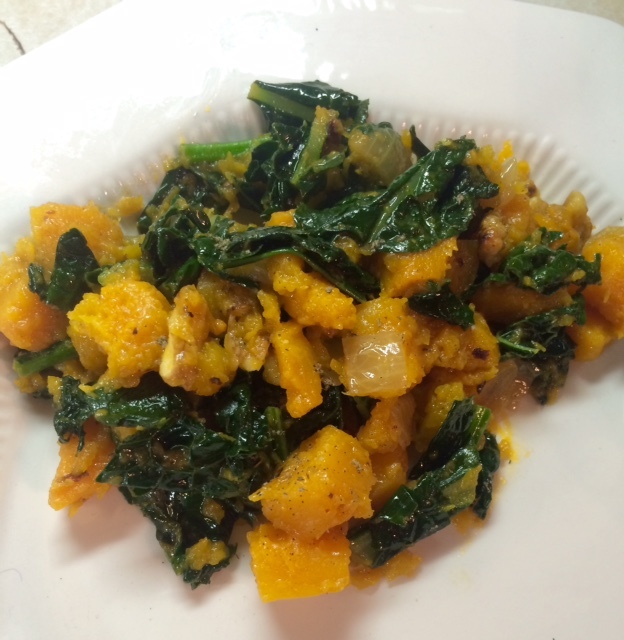 ), stir them into the squash, tasting for seasoning and grinding in as much pepper as you’d like. Top with the toasted walnuts and serve! The Missouri November weather was spectacular last weekend. Dave and I went on an epic, 3-hour, 10+ mile hike around the Weldon Spring area to enjoy said Missouri November weather, beginning and ending at the Weldon Spring Disposal Cell. What is the Weldon Spring Disposal Cell, you ask? Well, we wondered the same thing. 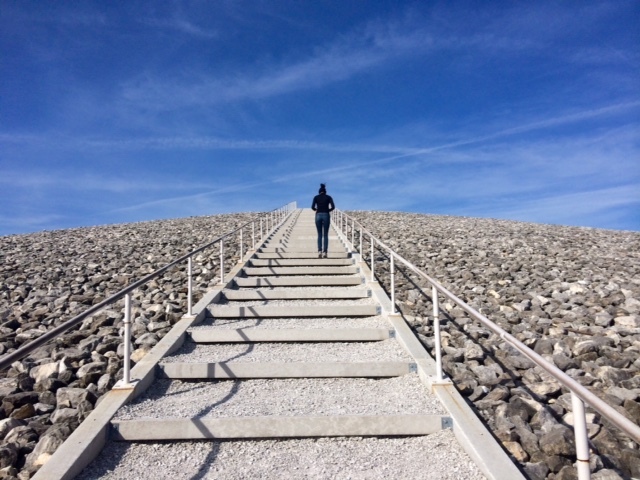 It’s a 45-acre mound of rocks covering layers of nuclear waste. And you can walk to the top! How’s that for a bizarre tourist attraction? The Us Army Ordinance Works purchased the site and adjacent land (17,232 acres- whoa) in 1941. The Army contracted the Atlas Powder Company to manufacture trinitrotoluene (TNT) and dinitrotoluene (DNT) at a sprawling factory complex on the site until 1945 to support World War II efforts. After the war, the Army started selling off the land but kept about 2,000 acres to house the Weldon Spring Uranium Feed Mill Plant, which was just what it sounds like- a uranium ore processing plant that operated from 1955 to 1966. Uranium ore processing plants produce well, radioactive waste, and that, kids, is what’s tucked beneath the Weldon Spring Disposal Cell. I’m hesitant to believe that the waste isn’t harmful to the surrounding communities or people walking all over the cell, but so far, I feel no strange after-effects. I can see better, though. Strange…. Anyway, we were starving when we got home and had breakfast-for-lunch, with the addition of these warming, slow-cooked, creamy pinto beans and leftover cornbread to dunk in them. I’d soaked the beans overnight the night before and put them in the crockpot before we headed out, so only finishing touches were left to be made when we got back. The cornbread originally accompanied some white bean chicken chili we’d made and heated up well to go with the beans. 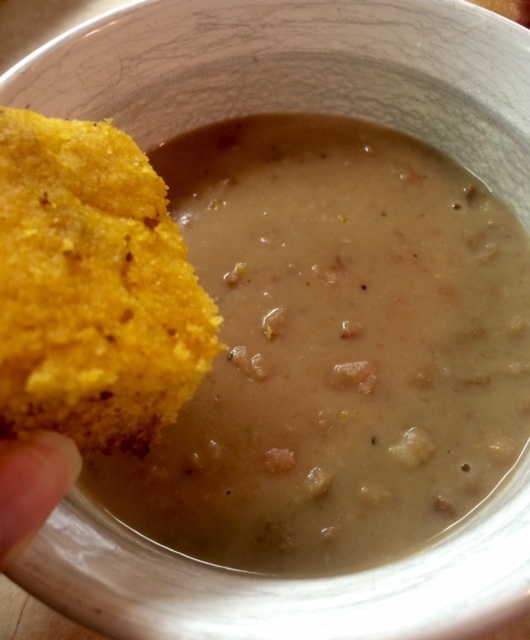 So, without further ado, creamy crockpot pinto beans and gluten-free cornbread! Rinse the dry beans after you pick them over for any rocks or clumps of dirt. Finding rocks and clumps of dirt in bags of dry beans isn’t as far-fetched as it sounds, but it is every bit as gross as it sounds, so look ’em over good. 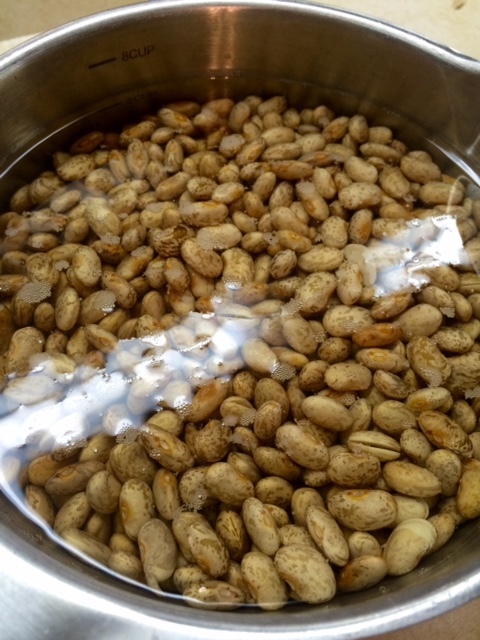 Put the beans in a bowl and cover with an inch of water, soaking at least 8 hours or overnight. How retro-frugal you are, soaking beans! Good for you. The WWII-era Real Housewives of Weldon Spring would be proud. When the beans have had a good soaking, dump their soaking water, rinse them again, and put them in your crockpot. Cover with water, up to 1/2 inch above the beans. Keep in mind that when cooking in a crockpot, the water added to a recipe will stay put, so add as much as you’d like or not like. Cover and set to low for 8 hours or high for 4. Take a hike. When you return from your hike/nap/workday/classified mission, chop the 2 pieces of bacon and cook them over medium in a small skillet until crispy. If you’re omitting bacon, heat the olive oil over medium. Remove the bacon once it’s crispy and add the onion to the bacon fat or olive oil, cooking for 3-4 minutes until translucent. Add the garlic and cook another minute. Salt and pepper the onions, and add the onions, bacon, and 2 cups of beans to a food processor. Whir that sucker until the mixture is smooth and creamy, then stir the mixture back into the pot of beans. You’re all done! The beans are even better the next day. They’re rich and creamy and make a perfect partner for a few hunks of…. Grab two bowls and preheat your oven to 400. 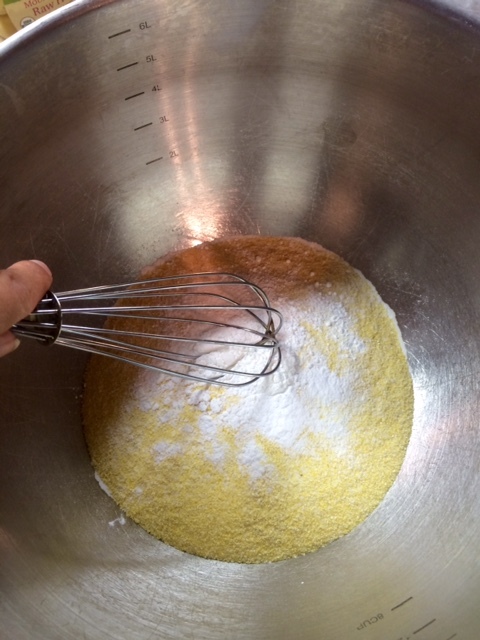 In the larger bowl, whisk together the dry ingredients: cornmeal, baking soda, baking powder, and salt. 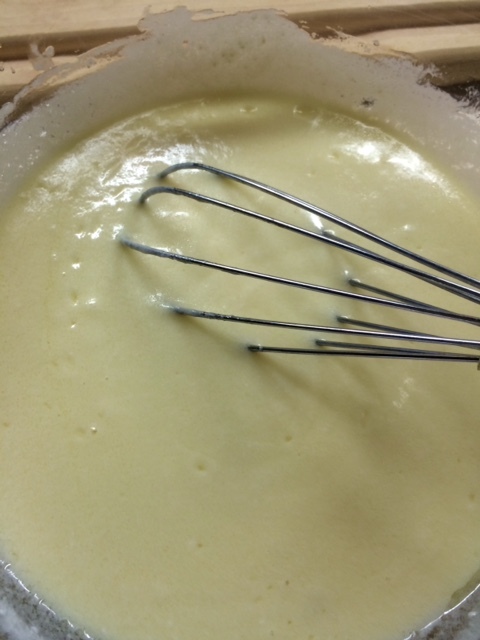 In a second, smaller bowl, whisk together the wet ingredients: egg, butter, yogurt, and honey. Now make a well in the middle of the dry ingredients in the large bowl. See where this is going? Now you know why the dry ingredients got more bowl-love than the wet ones. 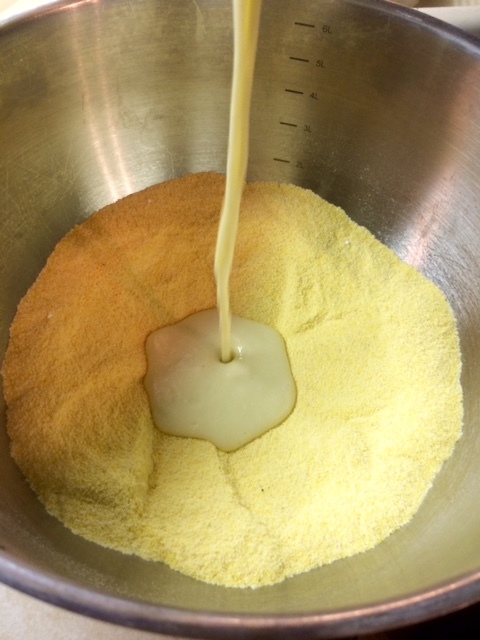 Pour the wet ingredients into the center well and mix until just combined. 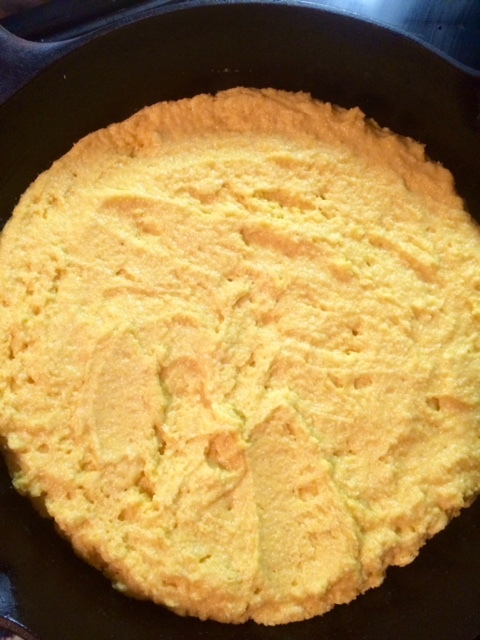 Grease a cast-iron skillet or 9×13″ pan and spread the cornmeal mixture in evenly. Bake for 20 minutes, until the top is golden-brown. This celiac husband-friendly side was quite tasty. It held together well but was also crumbly, and would be great with the addition of cheddar cheese or chopped green chiles. It was great with the white chili and stood up to the beans. What will you serve with yours?